This section contains a range of useful reference material on HACCP in general, examples of completed templates and model documents that can be downloaded and modified for own use. This is an example of what a completed template on monitoring and corrective action may look like. 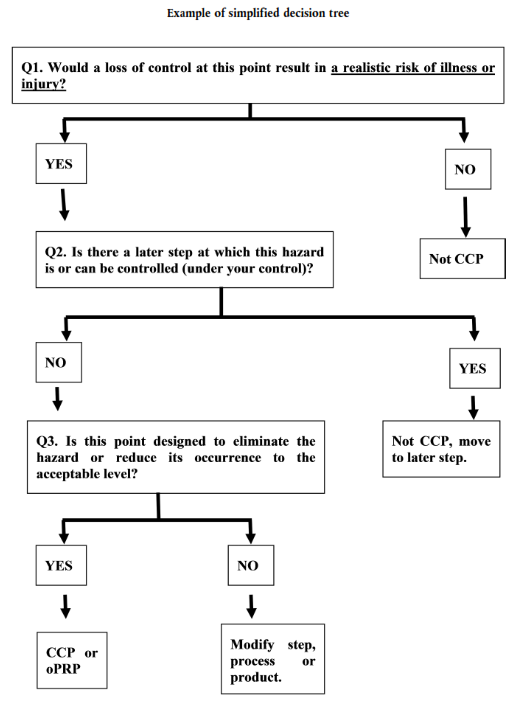 Codex Decision tree example from the Codex Food hygiene Basic texts (Fourth edition, 2009). How you break down your HACCP studies to cover all the products and processes you produce is up to you and may depend on how complex your process is. 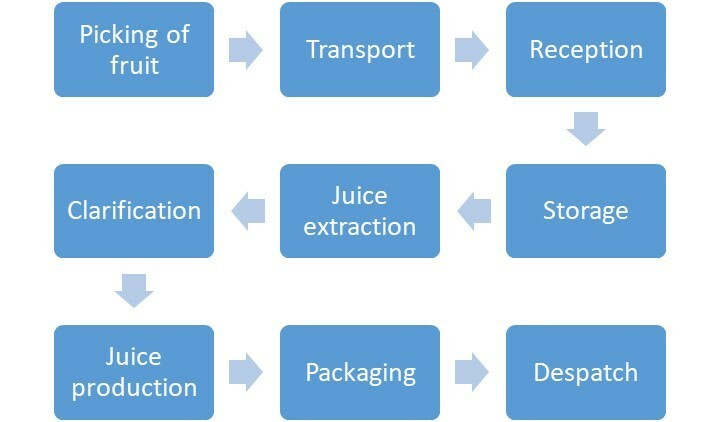 This illustration provides an example of both a linear and modular HACCP plan and how the studies have been split to cover the whole process from raw material through to despatch. This table provides you with general information about what you may wish to consider for each prerequisite. When assessing prerequisites and their control it is very important that you source further information for example from ISO 22000, ISO 22002-1, ISO 22002-2, BRC Issue 6, IFS, BRC Technical Standards (Pest Control, Complaint Handling, Internal Audits), Industry Guides of Good Practice, sector specific guidance (e.g. chilled food). A template which can be used to record details relating to goods received. Example of a linear HACCP plan. 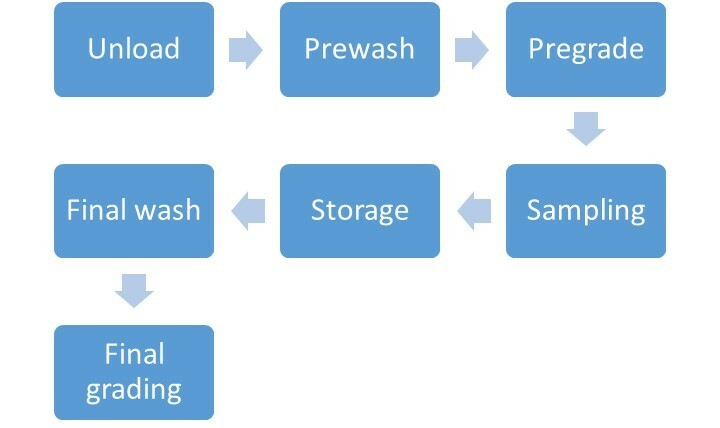 Example of a Modular HACCP Plan. Example of a completed MyHACCP study for Chicken stuffed with prawns and garlic in a wild mushroom and walnut sauce. The study is for illustration purposes only. This is an example of what a completed template for production records may look like. This is a template which can be used to log production records. This table identifies food types and microorganisms of concern. The table does not include all microorganisms of concern to food safety, it is important that you know your product and you carry out research to ensure you identify the microorganisms which may present a hazard to your product. This is an example of what a completed 'training record template' could look like. This is a template which can be used to log training records.